There is no real formula for success. It varies from PPC campaign to PPC campaign as each campaign is unique. You can judge ‘success’ on many different things in your PPC campaign. It could be the amount of impressions your advert gets. It could be the conversion rate your campaign has to your landing page. However, more commonly, advertisers base the success of their campaign by how many clicks their adverts get or their CTR (click through rate). There are many different ways you can improve your campaign’s CTR with many of them being rather simple. What you should always remember in PPC is that sometimes, the smallest changes to a campaign can have the most beneficial impact. A common conception people assume is that to get more clicks, you need more traffic seeing your adverts. Yes, this is true. For example, if you had a 1% CTR, 100 people will get you 1 click whereas 200 people will get you 2 clicks. The problem I find is that the majority of the time you shouldn’t need more traffic to increase your CTR. There are numerous amounts of way you can increase the CTR of your adverts with the current levels of traffic you are getting for your advert. It is strongly recommended that if you haven’t got any powerful words, try to include at least one of them in your text or image advert. They are words which evoke a response from the reader encouraging them to interact with your advert and click on it. Without the above words, you will find it harder to attract attention, maintain attention and get clicks from your adverts. The reader will become confused what your advert is about and aiming at. You will get clickers from different market segments which might not be as interested in your advert as others causing you to have a lower conversion rate. You cannot adapt one campaign for two separately running markets. You are either aiming at one market or the other. Being specific will help you target your audience much quicker with less hassle. As well as this, because the people who are looking at your advert are now specifically chosen to your advert, there is a higher chance that they will go on to click on your advert too. A call to action is a ‘call’ in which your aim is to evoke a response from the reader. This could be many things but primarily, for PPC, the response is usually a click on an advert. 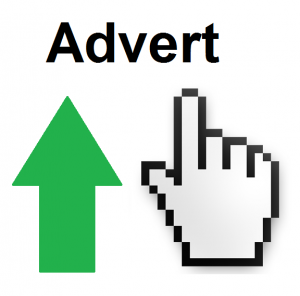 Including a call to action in an advert will help to connect the advert more to the reader. For example, if your advert tells you just facts about a car, then you have all the information you need. If you then changed the advert so that you ask the reader the question if they want to find out about the car’s stats, they will then self-consciously make a response to the advert: yes, by clicking on the advert or not by ignoring it. This will help create interest in the landing page the reader wanted to click on and reach. Share your comment 2 responsesTO How to Get More Clicks on Your Advert. Would be great to see some examples of a model ad if possible. We will be putting these up in the next week!